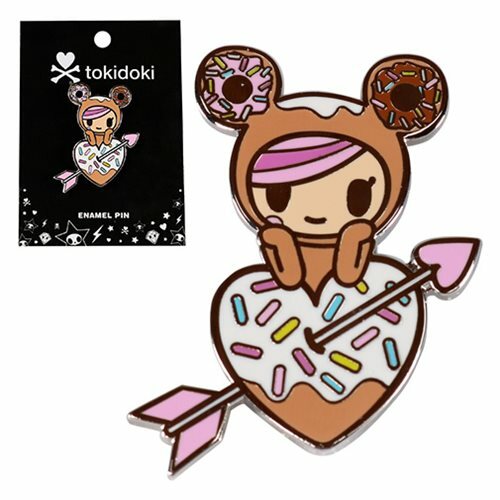 Wear your Tokidoki love with pride by sporting the Tokidoki Donutella Pin! These approximately 1 1/2-inch tall pin is made of hard enamel with a rubber clutch backing. Ages 12 and up.